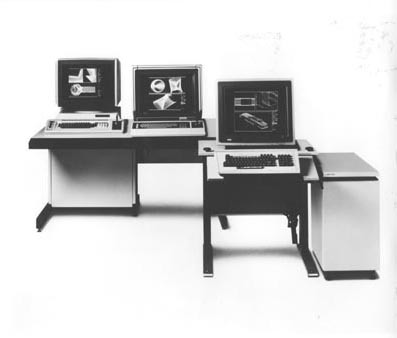 B&W image of a Megatek Graphics System. There are three displays shown each with a keyboard and different set of graphic images. On the right is a standalone computer system module.